As predicted by the US supermarket giant Whole Foods, 2017 has been the year of the purple foods trend. 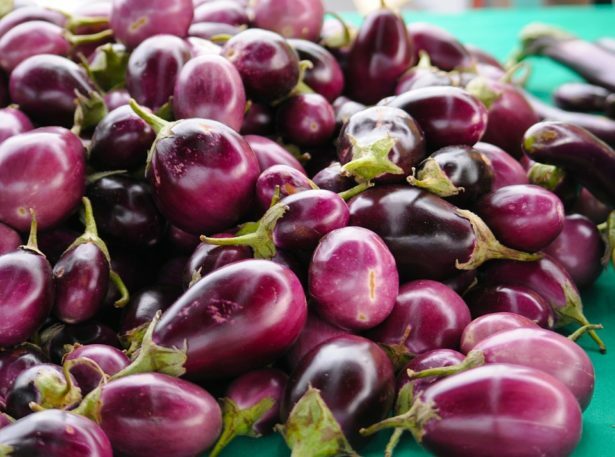 Like all health conscious individuals and those in the know, the natural colour purple of vegetables and fruits is a great nutritional characteristic, indicating a high concentration of antioxidants. So not only do they make a great addition to the variety of hues in your dish, they also provide you with extra amounts of nutrients. It’s a win-win, really. The amount of purple vegetables out there is much greater than we probably realise. From purple corn, to purple carrots and purple cauliflower, the options to decorate your bowl and make it Instagram worthy are endless. But it’s not all about the colour – it’s also about the amount of advantages that come from consuming these foods. Red (or purple) cabbage. Rich in fibre and various nutrients, red cabbage is particularly healthy as it contains double the amount of polyphenols compared to its green relative. Polyphenols are potent antioxidants able to fight inflammation, DNA damage and counteract the damage brought upon by smoking, obesity and a sedentary lifestyle. Purple corn. This type of corn contains a wide variety of plant nutrients, which include antioxidants and anthocyanins that give the corn its red/purple colour, further offering anti-inflammatory, anti-viral and even anti-cancer benefits. Eggplants. Pretty common in a basic every day diet, eggplants hold their greatest nutritional value in their purple skin, packing great amounts of iron, calcium and a variety of other vitamins. Finding purple vegetables at the store is a bit hard, unless you just want to stuck to the classics such as eggplant and beetroot. If you want to try something a bit more exotic and amplify your choices for your next meals, you will definitely have better chances of finding them online. 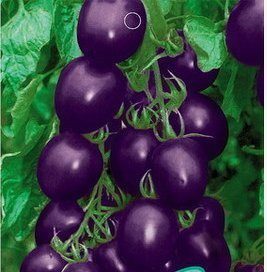 You could try buying purple cherry tomato seeds, purple dragon carrot seeds or even purple cauliflower. Just imagine how much more appetising you could make your dishes for both your family and guests! Acai berries. If you’ve never heard of acai bowls, the only valid explanation for that would be that you haven’t had internet connection for a few years now. Instagram, Facebook and new-age vegetarian and vegan cafe websites are full of pictures of these bowls and they’re nothing short of pretty. Acai berries are packed with fibre, antioxidants, carbs, mineral salts and vitamins such as A, B, C and E, to name a few. Blueberries. The benefits of blueberries are quite well-known to most of us. Studies have shown multiple times their ability to help improve memory, the condition of the cardiovascular system and to maintain blood sugar levels stable. Blackberries. With an antioxidant level content among the highest of all fruits, these little dark purple clusters of bubbles carry large amounts of bioflavonoids as well as vitamin C, making them a perfect addition to your smoothies or fruit salad. Plums. Aside from having a high content of antioxidants and vitamins, plums contain phenols that have been shown to have the potential to combat breast cancer. If that’s not a good choice for your half-morning snack, I don’t know what is! Purple sweet potatoes. They’re sweet and that’s a valid excuse for you to choose them over their yellow counterparts. An even better reason to eat them is the fact that they contain more than four times the amount of antioxidants than regular potatoes. Beetroot. Ideal for people who suffer from anemia, this purple root vegetable is a nutritional powerhouse. Vitamins, minerals, antioxidants and lack of fat… beetroots have it all. Purple carrots. 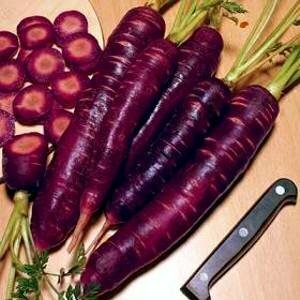 Did you know that carrots were originally purple? The common orange tint was a genetic modification established in the late 16th century. However, purple carrots are still grown nowadays preserving their anti-inflammatory properties and their antioxidants content.